The Anonymous collective in 2013 had a serious goal when they initiated the “A message to the awakened ones” project. The project which was initiated in 2013 is still going strong in 2015. On 21-08-2015, the Youtube user “Anonymous#1867” re-uploaded the Anonymous video “A message to the awakened ones”. In this video, the Anonymous collective calls upon everyone which is collecting and sharing specific information in their private groups. The Anonymous collective claims that everyone should start sharing the information which they posses as it will serve a greater goal. You can watch the reuploaded Anonymous video below. 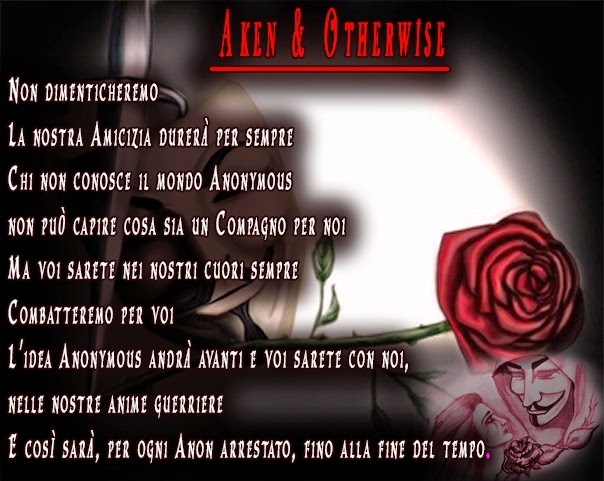 he Anonymous collective has intiated a new operation which they have titled “opNestle”. The ‘opNestle’ operation will target the Nestle company globally, but from the information which we have seen, we can claim that the Anonymous collective in The Netherlands will target the Nestle company which is located in Amstelveen. When Nestle refused to watch this documentary (original title: “Shady Chocolate“) about the exploitation of African children in the cocoa industry, the documentary’s director, Miki Mistrati, set up a giant screen next to Nestle’s headquarters in Switzerland and played it there. ^Command to download all the recently released NSA DOX! Here is proof my last paste about NSA was forcibly removed without notifying me!